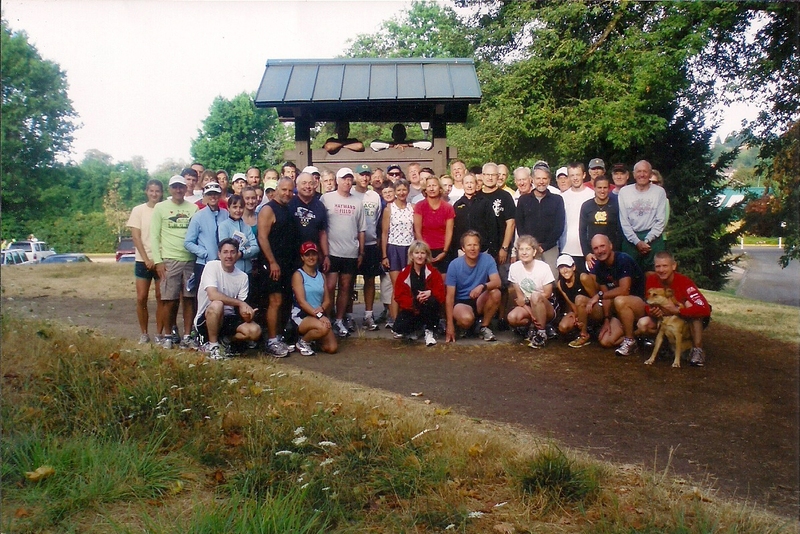 The Eugene Running Club, established in 1987, is for adult runners of all abilities who wish to achieve personal running goals in a team-like, group setting, under the guidance of a coach. Coach Cathie Twomey Bellamy writes individual workouts for each member of the Eugene Running Club, conducts group workouts several times a week, and is available for consultation by phone or email. The club format embraces track-focused runners from 800 meters on up as well as road racers from 5,000 meters through the marathon, and those seeking simply to improve fitness through running. Over the years, Eugene Running Club athletes have attained such goals as competing on the track in the World Veterans Games and national masters championships as well as qualifying for the Boston Marathon and other marathons with entry standards. And many more have also felt the reward of setting personal bests in a wide variety of local road races. The training atmosphere is one of serious fun — there’s energy, enthusiasm, humor and camaraderie. Workouts are written with each individual athlete in mind, according to their personal goals and fitness levels, so that progress is not undermined by injury.